Charged under California Penal Code 240 pc, assault requires the willful commission of an act by its very nature would probably and directly result in injury to someone else. Moreover, assault is merely an attempted battery. It can be accomplished even where a victim suffers no physical injury. Moreover, assault is labeled as a “violent offense” even though no physical force need be used against the accuser. 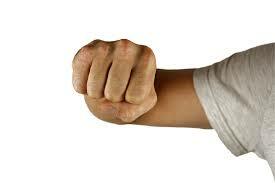 For example, if someone attempts to punch another person but misses, the act of assault was committed. If the strike was successful, charges of battery would follow. The distinction between assault and battery turns on whether a suspect succeeded in applying force to the accuser. For instance, any physical touching may suffice to warrant battery charges. A failed attempt to apply force to someone constitutes an assault. Accordingly, all battery charges include an assault. Depending on certain factors, assault may elevated to greater charges if the use of a deadly weapon was involved, firearm, or the accuser is a public officer. To prove someone is guilty of assault under PC 240, the government holds the burden of proving the following elements beyond a reasonable doubt: (1) Defendant did an act that by its nature would directly and probably result in the application of force to another; (2) defendant acted willfully; (3) when the defendant acted, he or she was aware of facts that would leads a reasonable person to realize that his or her act by its nature would directly and probably result in the application of force to someone; (4) defendant had the present ability to apply force to someone; and (5) the defendant was not acting in self-defense or in defense of someone else. To avoid the severe penalties following a conviction, it’s in anyone best interest to retain an experienced Assault Defense Lawyer. Assault carries up to six (6) months in the county jail and a fine not exceeding $1,000. The court will typical place someone on probation for three years, order them to complete anger management and community service, and impose a protective order restricting all contact with the alleged victim. Furthermore, a conviction may carry adverse consequences towards someone’s professional license or those attempting to become U.S. citizens. An assault does not take place if someone conveys a condition threat. Namely, because the conditional threat is not imminent as require under statute for assault. 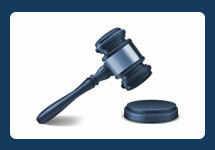 However, a person may find themselves charged with making a criminal threat. Acting in self-defense or in the defense of another will serve as an absolute defense. In other words, a person’s assaultive conduct is explainable if they were responding to a potential threat of imminent injury to themselves or a third party. The government is required to prove the above cited elements beyond a reasonable doubt. If the government cannot prove their case with sufficient evidence, the case may be dismissed. Insufficient evidence may include witness credibility problems for the prosecutor. In other words, the alleged victim has a history for violence, lying, or has provided inconsistent versions of the event. Another example may include faulty identification, where the government cannot prove with sufficient evidence that the accused actually committed the assault. Assault allegations require the retention of an experienced and reliable criminal defense lawyer to ensure the government is not stepping over the boundaries of your constitutional rights. 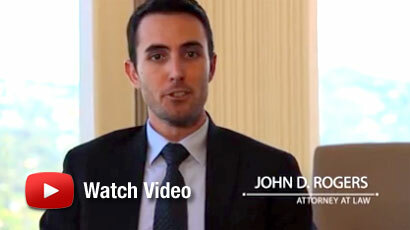 With severe penalties following a conviction, contact the Law Offices of John D. Rogers to schedule a free confidential consultation with an Orange County Criminal Defense Attorney about your rights and defenses. We handle all battery related charges occurring in Orange County, Los Angeles, Ventura, San Bernardino, and Riverside counties. California Penal Code 240: An assault is an unlawful attempt, coupled with a present ability, to commit a violent injury on the person of another. See Creech v. Frauenheim 800 F.3d 1005 (9th Cir. 2015). Simple Assault (Pen. Code, 240) By the Judicial Council of California Advisory Committee on Criminal Jury Instructions (CALCRIM No. 915).